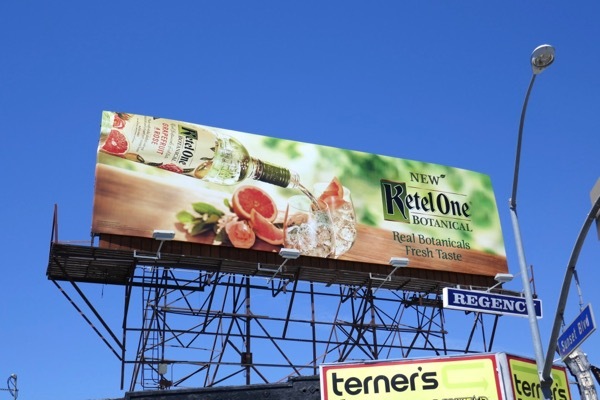 If there's one thing you need to know about our Dutch friends, they like a good drink, and they're not too bad at making them either. 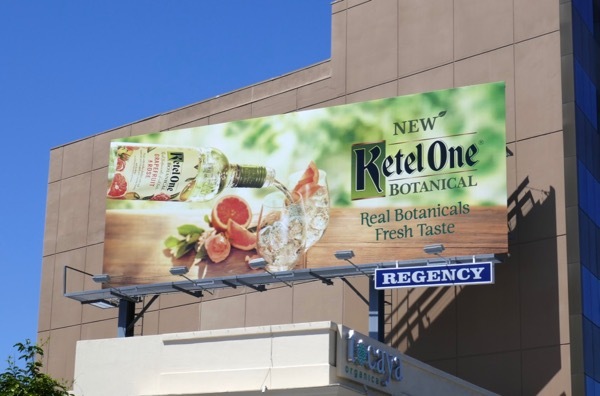 This summer Ketel One debuts their Botanical vodkas, infused with grapefruit and rose, cucumber and mint, peach and orange blossom, the perfect liquid refreshment for adults. 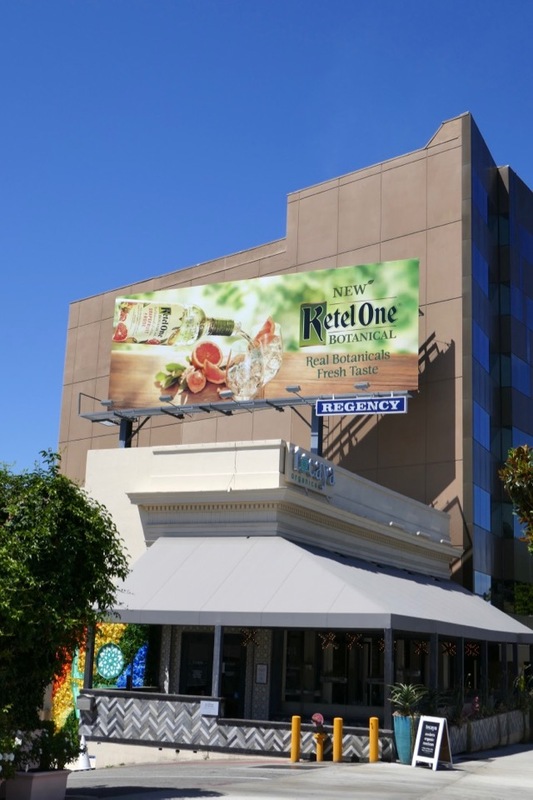 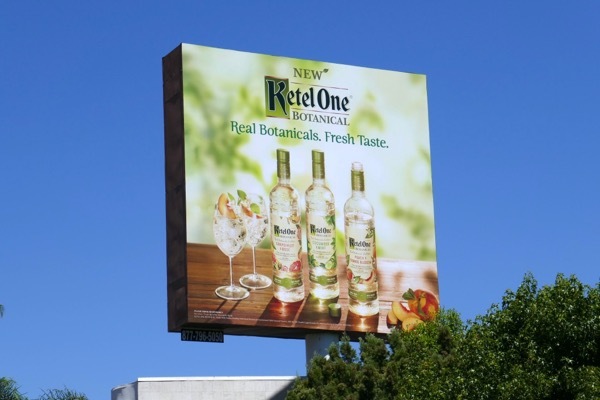 These fresh Ketel One Botanical billboards were spotted brightening the Sunset Strip on July 23, 2018. 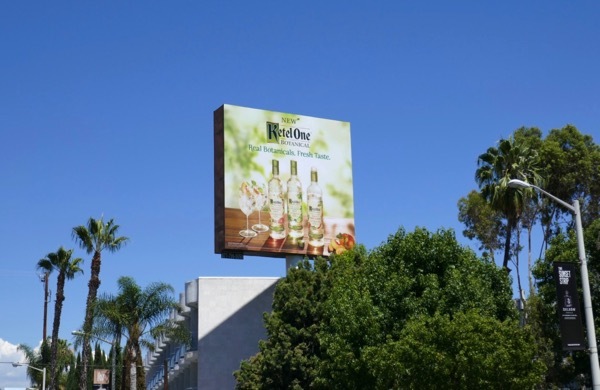 Fans of the vodka brand can also enjoy drinking in all these previous Ketel One billboards gracing the sprawling city skyline in recent years. 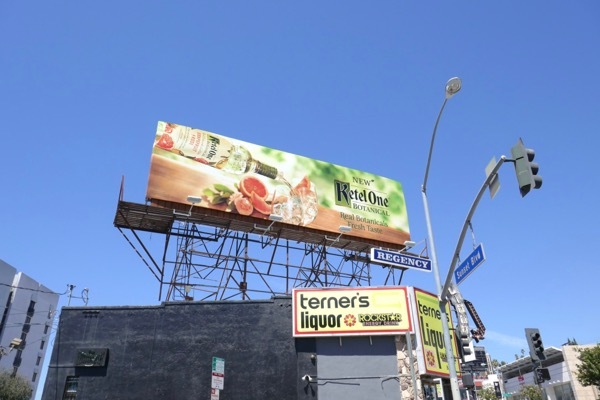 Now if you'll excuse Daily Billboard, all this blogging is thirsty work, and it is summer hours after all.